With the first week of spring finally upon is, it’s time to consider how to spend all of those vacation days you racked up over winter! If you’re like us, you’re planning your escape to an exotic, tropical destination where the days are hot and the drinks are cold. It’s time to dust off your suitcase, slide on your sandals and hit the road for some serious fun in the sun. Before saying goodbye to the snowpocalypse, say hello to these travel essentials before boarding the next plane out of Dodge. 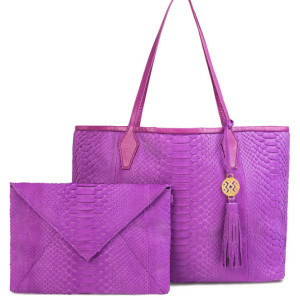 Bold-colored bags never go out of style, and for trendy travelers it’s all about standing out among the crowd. Take this textured Helmer JoJo Traveler tote on your next trip as an all-purpose carry-on, with enough space for all of your travel essentials. It even includes a detachable clutch, making this a perfect day to night look once you’ve landed in paradise. Natural stones and organic materials embody the stunning Khalama collection of jewelry created by designer Gabriela Emma Olivera in Miami, Florida. 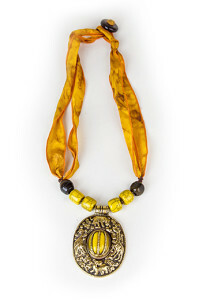 Combining the natural world with the spiritual, Khalama – a Tibetan expression meaning ‘sky path’ – boasts striking patterns filled with Far Eastern symbolism including Buddha, the lord Ganesh, koi fish and lotus flowers. This stunning line of hand-crafted necklaces, bracelets and earrings will add an extra layer of style and spirituality to your travels. Scrambling for your ID and credit cards while traveling is a rookie move! 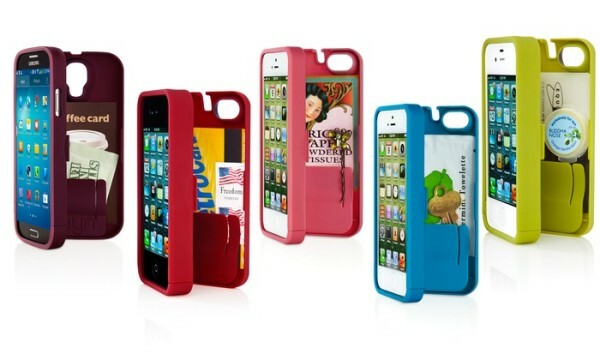 Keep your essentials all together with a cellphone case that doubles as a wallet! Available in a rainbow of colors for all the latest smart phones, EYN waterproof cases include extra features such as a kickstand, wrist strap and mirror. It’s no wonder EYN stands for “Everything You Need.” This, ladies, is the new definition of traveling light. Smart technology has come a long way in recent years, and taking it with you when you travel has never been easier. 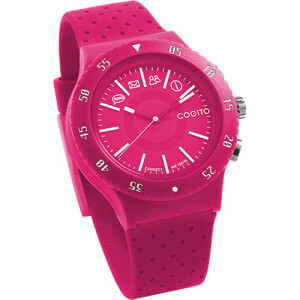 Example A: the Cogito POP watch. This versatile timepiece exemplifies the latest generation of smart watches, combining fun with functionality. Cogito watches links to your cell with an easy-to-use interface that connects you to Facebook, Twitter, Instagram and all call functions on your phone, including text and voice messages. It means you’ll never miss out on what’s happening in your social sphere no matter where life takes you. It even tracks your fitness – which on vacation usually consists of lifting cocktail glasses rather than weights. We’ll stick with the social media functions, thanks. It’s easy to fall victim to the abundance of airport junk food when hunger comes creeping in. Think ahead and be prepared with a healthy alternative when snacking on-the-go with Crispy Fruit from Crispy Green. With 100% pure fruit freeze-dried to perfection, this simple solution to sensible snacking is the perfect option for women who like to keep their waistline in check while traveling. 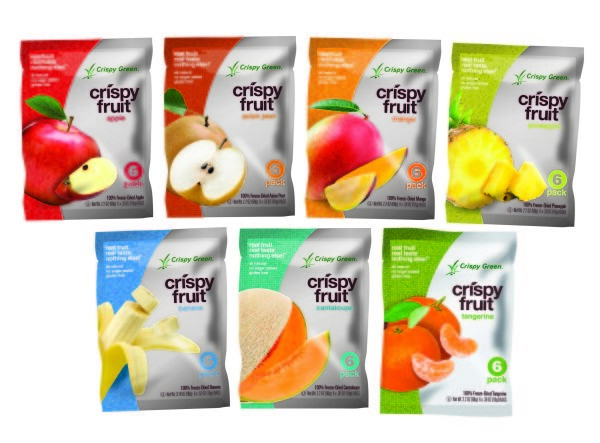 Available in a wide variety of flavors including tangerine, apple, Asian pear, banana, cantaloupe, mango and pineapple, Crispy Fruit comes packaged in individual, single-serving packets for no-mess nibblers. Find it in your local supermarket or click the image below to shop online.